Open plan living spaces give modern homes new life. With fewer walls more light flows through but there’s less room for traditional storage solutions. 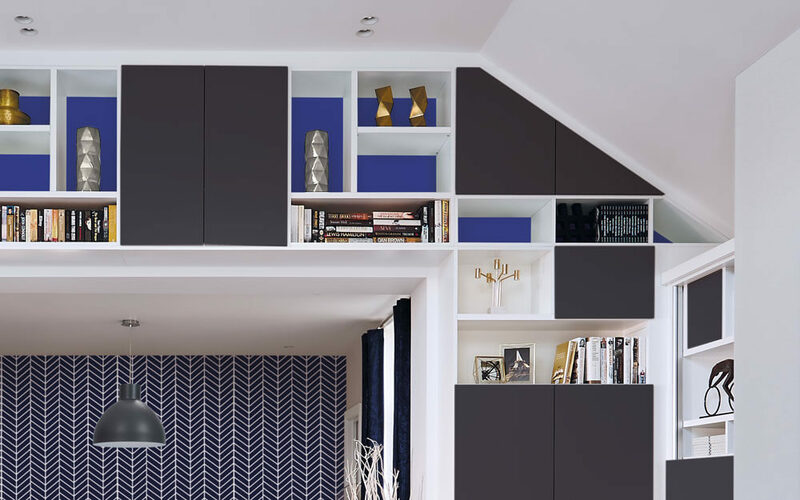 Our answer was to design made-to-measure shelving, cleverly integrated into sloping ceilings to create an eye-catching display area. 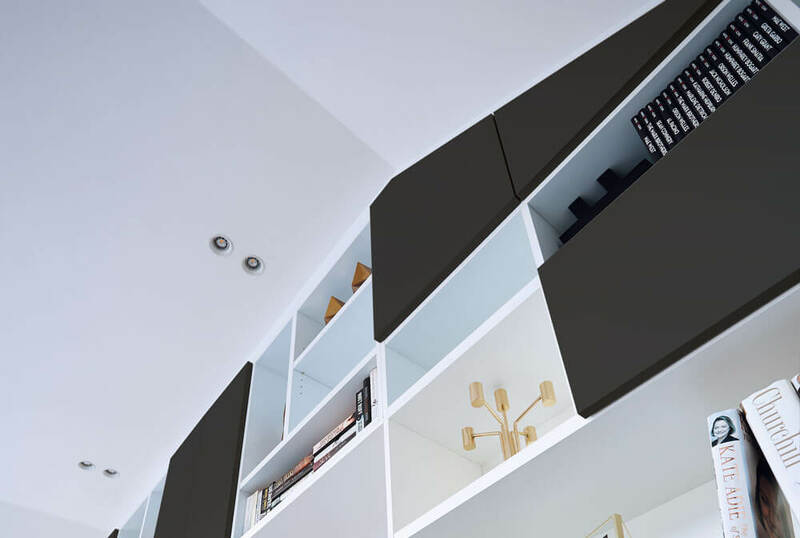 Discreet storage keeps the room free from clutter and the overall effect is both practical and aesthetically pleasing. It keeps the room free for relaxing and entertaining in style while enhancing the look and feel of the whole room. Homes aren’t always uniform which is why Neville Johnson handcraft furniture to enhance the individual nature of your living space, while providing a made-to-measure solution that will add purpose to unused spaces. 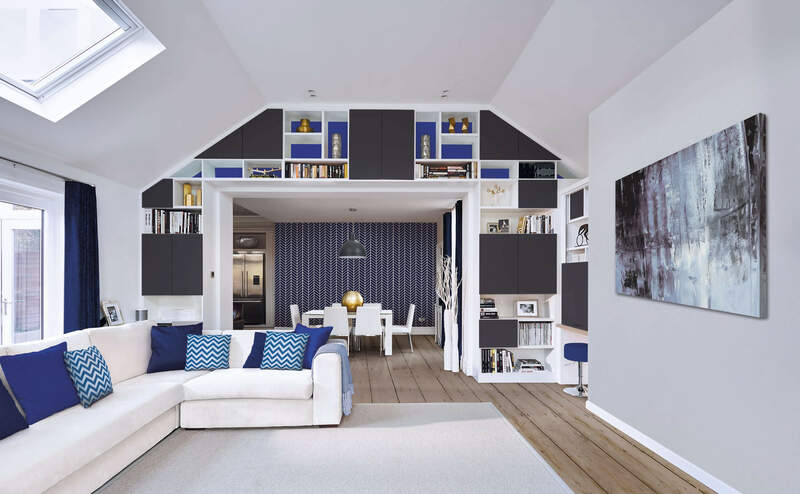 Contrasting shades are big news in interior design for 2018 and the stunning combination of light and shade as seen in our indigo blue/white colour scheme gives this room a sophisticated and contemporary feel. Painted in ‘sorrel’, this superb example of bespoke furniture complements this spacious lounge perfectly.